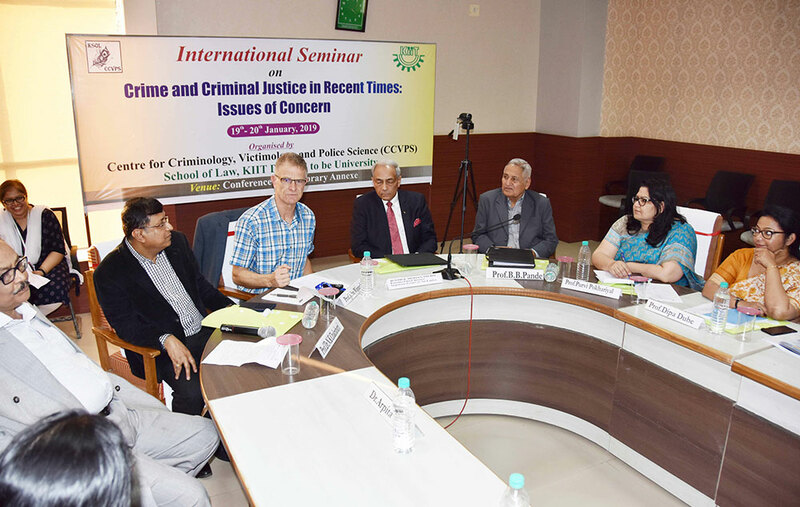 An International Seminar on “Crime and Criminal Justice in Recent Times : Issues of Concern ” was organized by Centre for Criminology, Victimology and Police Science of KIIT School of Law during 19th & 20th January, 2019. The Introductory Lecture was delivered by Prof. Dr. N.K. Chakrabarti, Director, School of Law, on Crime and Criminal Justice in Globalized World. The Seminar was graced by Prof. John Winterdyk, Faculty, Mount Royal University, Calgary, Canada; Justice Mohan Pieris, Former Chief Justice of Sri Lanka; Prof. B.B. 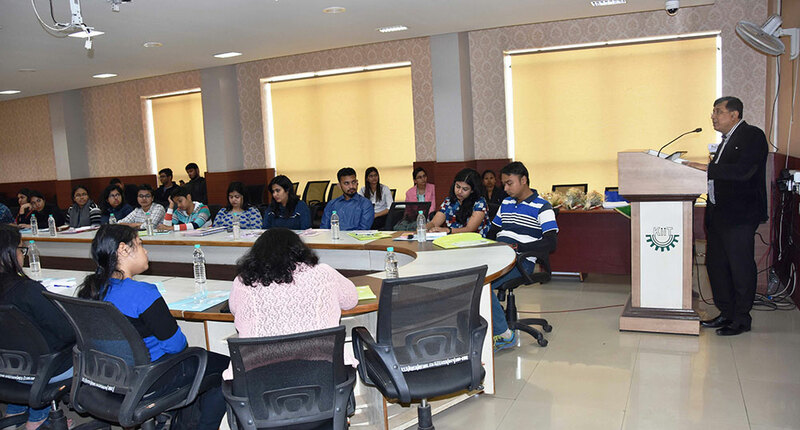 Pande, Chair Professor, Centre for Criminal Law, NLU – Delhi; Prof. Dipa Dube, Rajiv Gandhi School of Intellectual Property Law, IIT Kharagpur; Prof. Purvi Pokhariyal, Director, Institute of Law and Dean, Nirma University, Gujarat; Prof. Sri Krishna Deva Rao, Vice Chancellor, NLU, Cuttack and Prof. G.S. Bajpai, Registrar, NLU-Delhi. Prof. John Winterdyk delivered lecture on comparative Criminal Justice and Criminology, where as Justice Mohan Pieris talked about Criminal Law and Criminal Justice System as administered in Sri Lanka. Prof. Dipa Dube focused on Feminism and Criminal Justice Administration in India with special reference to “Me Too” movement. Prof. B.B. Pande identified the celebrated judgments of Supreme Court of India in the last two years on Criminalization and Decriminalization and its impact on Indian Criminal Justice System in future. Prof. Srikrishna Deva Rao focused on human rights and Criminal Justice Administration in India with respect to some leading cases of Supreme Court of India. Prof. G.S. Bajpai delivered a new aspect of Crime, Criminal Justice and Victimology and focused on Crime, Justice and happiness and its indicators in various countries of the world. Prof. Purvi Pokhariyal focused on Criminal Justice and Constitutionalism in the backdrop of some landmark judgments of Supreme Court of India. The Seminar was concluded with Vote of Thanks proposed by Dr. Arpita Mitra.